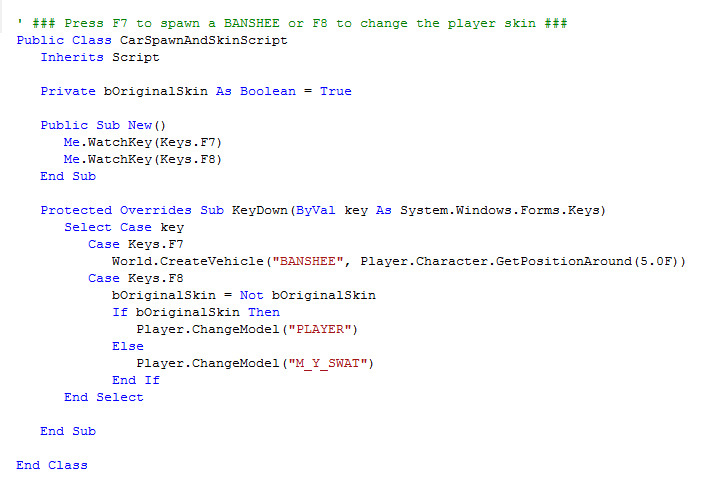 This archive contains the complete C++/CLI sourcecode of the GTAIV .Net Script Hook. The compiled ASI plugin allows you to run in-game GTAIV scripts written in any .Net language. The goal of this project is to provide a .Net-typical and easy to use class structure that wraps all scripting functionality of the game. Scripts can be developed directly with Visual Studio, granting you all it's benefits like code highlighting and IntelliSense.